UPDATED RECIPE! now includes a low-fat version suitable for THM E or FP meals! My love of spicy hotness began during one harrowing ride down an Arizona mountain. We were torpedoing down some mountain on our way back from visiting the Grand Canyon. It was dark. There was sleet coming down. And there were times we were doing 120 miles per hour…with my hubby riding the brake. I didn’t look at the speedometer. I kept my eyes planted firmly on my phone, which was streaming a movie on Netflix. About halfway down this Mountain of Certain Death, we stopped at a wings place to get something to eat. And I had a drink. Or two. I also ordered something I never thought I’d ever order. Ever. It wasn’t Sriracha Chicken Salad, but if it weren’t for that crazy spicy wings dish, I’d never have discovered this awesome sauce called Sriracha. What did I order? Boneless wings (can you say “chicken nuggets”?) with Mango HABANERO sauce. I don’t even know why they sounded good, but I just had to have them. They were so crazy hot I could only eat three, but I ate them. And I fell in love with spice at that moment. Now I find myself spicing up all the things on a pretty regular basis. Sriracha sauce is one of my go-to spicy companions. Near death experiences can change a person. Truly. One way I get my spice on is to Sriracha all the things. Sriracha sauce is one of my favorite spicy sauces. I use it in all kinds of things, like Spicy Sour Cream Sauce for tacos, meats or anywhere I want a bit of creamy sassy sauce, Sriracha Egg Salad and its zesty cousin, Sriracha Deviled eggs. And one of my all time favorites, since I’m a big time burger buff – Jalapeno Burgers with Sriracha Burger Sauce. It’s easy to control the amount of spice…a little if you’re just feeling a bit zippy, or lay it on thick if you really want to feel the burn. Sriracha Sauce actually has a very interesting history. You can watch the Sriracha documentary free on Amazon Prime. This Sriracha Chicken Salad is flavorful and fast to prepare. Got some leftover chicken? Great! Just add a few more ingredients and you’ve got yourself some sassy Sriracha Chicken Salad for lunch…or just because. Confession: sometimes I don’t even bother with a wrap or cracker, I just use a fork and eat that stuff right out of the bowl. No leftover chicken? No problem! Canned chicken works just as well. If you can your own chicken, that’s even healthier. The recipe below is another one of those barely-a-recipe recipes. Normally, I just throw some stuff in a bowl and mix it up, tasting it and adjusting until it’s as spicy, or not, as I’m feeling. Sometimes I add spices like onion powder or even nooch (nutritional yeast) for an added boost of protein and B vitamins. It also gives a kind of cheesy flavor as well. Dill, paprika, pepper and ground savory are also delicious options. Get creative with your bad self, now! 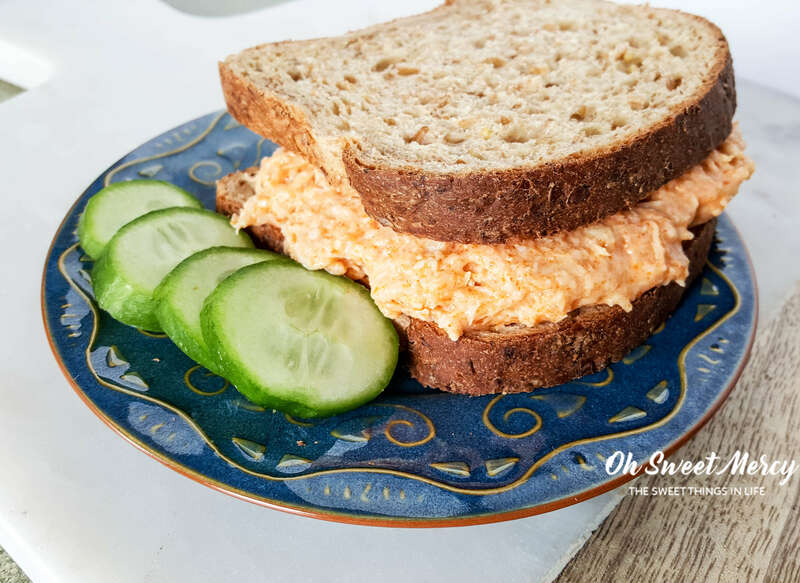 Trim Healthy Mamas, here’s how you can include this Sriracha Chicken Salad in your healthy eating plan. This is a solid S recipe (keep reading for E and FP version! ), especially if you use the Body Burn Mayo on page 470 of the new THM Cookbook. 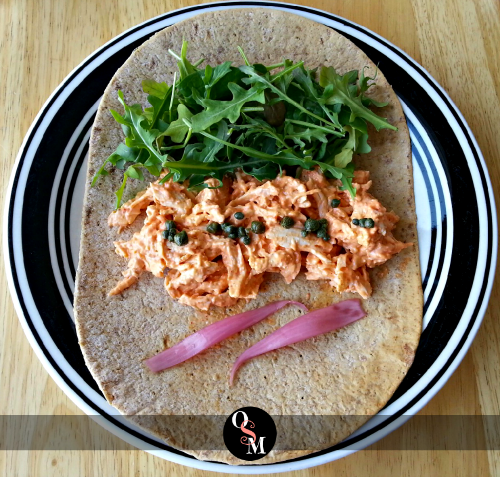 Enjoy with low carb wraps or Joseph’s lavash bread. Remember, these are considered a “frankenfood” and the net carb count needs to be 6 grams or less. It’s also not something you should eat every day, just occasionally. 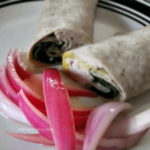 Something you CAN eat every day though are the Wonder Wraps, (found on page 204 in the THM Cookbook). They are easy to make and easily seasoned to your liking. Very versatile, these Fuel Pull wraps can be used in any setting, which is perfect for this S style chicken salad. Freeing up the carbs from the wrap means you can add some other on-plan carb to your meal such as 1/2 cup of fresh, juicy blueberries or any S style dessert. ***UPDATE*** NOW MAKE IT LOW FAT! I’m trying to get more E and FP meals into my weeks and it just made me sad to think I can only have Sriracha Chicken Salad in an S setting. So I fixed that! Making a few substitutions, the result is a nicely spicy, low fat (or fat free) chicken salad that’s perfect for those E and FP meals. Not gonna lie, I love the S version best. But this is still very delicious on an on-plan sprouted bread for an E or a big pile of dark, leafy greens for FP. Let’s make some spicy Sriracha Chicken Salad! Make a big batch easily, just increase the ingredients accordingly. 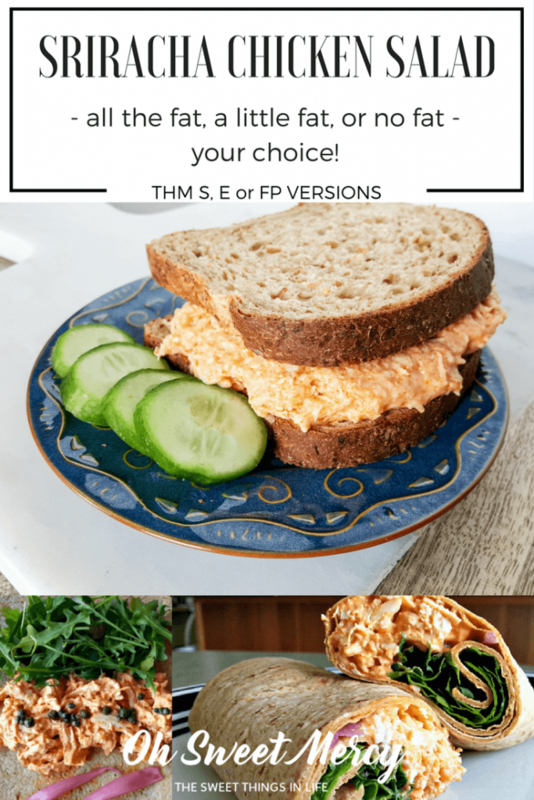 Trim Healthy Mamas, enjoy with your favorite on plan low carb wraps, breads or crackers or on top of a big pile of dark, leafy greens with a side of non starchy veggies for a quick and delicious S meal. For E and FP meals, make the low fat version (or no fat by leaving out the MCT oil), then choose on plan breads or veggies to round out your meal. For FP meals, keep your serving size to 3 or 4 ounces. Thank you for this recipe. Originality is what makes it a prize. Who doesn’t need another way to eat chicken in an S setting. However, I wonder why you camaflage the recipe for copying & make the “print” option nonoperational? It’s very frustrating. If you would rather we not benefit from your creativity, why post it in the first place? I don’t mean to sound gruff, I just don’t know how to phrase it. Thanks Joan! There must be a problem with my plug-in, I wasn’t aware that it wasn’t working properly so thank you for letting me know. I’ll get that fixed asap! I certainly wouldn’t do it that way on purpose!! Very frustrating, I agree. I’m sorry for the inconvenience! Do you have a recipe for the sriracha sauce?? It looks like a great change for chicken. My apologies for such a late reply. The last quarter of this year really got the best of me! I do not have a recipe, I’m sorry. I have seen DIY sriracha sauce recipes floating around, if you try one make sure to use on-plan ingredients if you follow THM. Thanks so much for stopping by and for taking the time to comment, I sure appreciate it! Glad you like my blog! 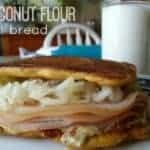 WHAT BREAD DO YOU LIKE TO USE FOR THE E RECIPE? I typically use sprouted bread that I get at Aldi. Ezekiel Bread is also another on-plan option.